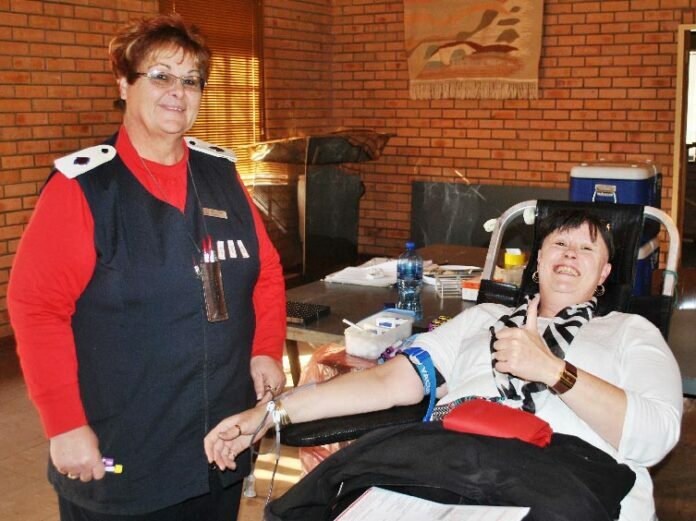 Home Local News Donate Blood, Save Three Lives! Donate Blood, Save Three Lives! Donate Blood, Save Three Lives! – Did you know that by donating your blood, you are able to potentially save three people’s lives? This is an interesting fact, considering the amount of people that are willing to donate blood. By making use of the red blood cells, plasma and palets in blood and separating them, a doner is in fact able to help multiple patients with only one unit of blood. 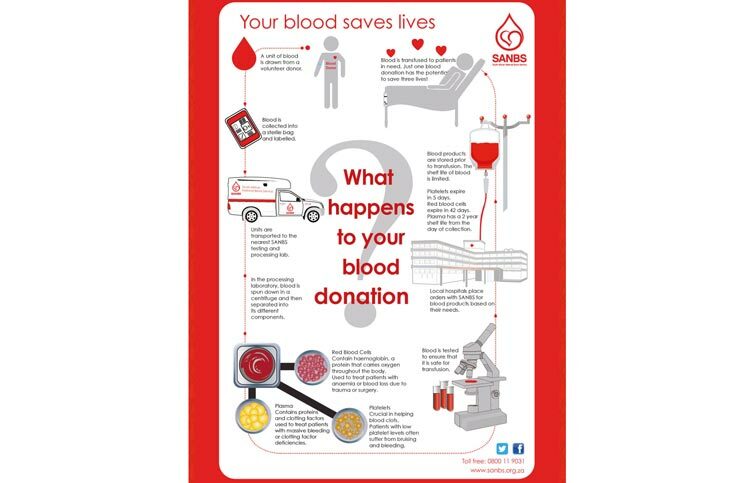 Have you ever wondered what happens to your blood once you have donated it? Have a look at the accompanying illustration. It gives a clear picture of the process that is followed in making sure that the donated blood is safe to use when the SANBS a patient needs it. For more information about donating blood or to see when the SANBS will be visiting Mkhondo again, please visit the South African National Blood Service’s website at www.sanbs. org.za. Remember, your blood saves lives! Previous articleSpeedhobbels . . . “yay or nay”?